Two groups are looking to make changes to the Florida Constitution in hopes of supporting solar energy in some way. Both of these groups are funneling money into efforts to change state laws and regulations, and the effects that these changes have on the state’s solar market could be considerable. The first group, Consumers for Smart Solar, is supporting a pro-utility amendment, hoping to maintain the state’s current solar practices to some degree. Floridians for Solar Choice, the other group, believes that more power should rest in the hands of consumers. Consumers for Smart Solar was launched earlier this year and intends to ensure that the state’s existing rules governing solar energy remain in place. Per state policy, homeowners have to pay to install solar panels on their properties. Moreover, these consumers would also have to purchase energy from the state’s utilities. Floridians for Solar Choice suggests that this policy is not in the best interests of consumers, especially as the cost of solar energy continues to drop. 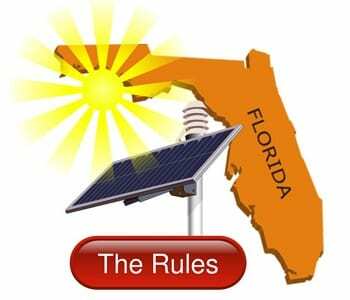 Floridians for Solar Choice wants to see the Florida Constitution changed so that homeowners are allowed to lease photovoltaic equipment directly from solar developers. Such a practice is similar to what SolarCity does, as the company offers leasing options that have made it easier for consumers to acquire and make use of solar energy. The state’s utilities suggest that such a practice would be detrimental to consumers, however, as it would lead to less regulation in the sale of solar energy. Consumers for Smart Solar has collected more than $1.9 million in funding from the state’s four major utilities. These companies are eager to see that the state’s solar energy rules are not changed in a drastic manner. The group is lagging behind Floridians for Solar Choice, however, when it comes to consumer engagement. The latter has managed to acquire a great deal of support from consumers, particularly homeowners, who want to embrace solar energy themselves.